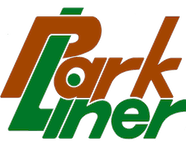 Liberty, North Carolina based GFM Industries, parent company of fiberglass trailer manufacturer ParkLiner, issued a release regarding a new partnership with Uniontown, Ohio based Little Guy Worldwide. According to the release, ParkLiner, always a factory direct manufacturer, will team up with Little Guy to market and distribute their fiberglass trailers in a traditional dealer network, something not often, if ever, seen with this type of trailer. Known for years for their marketing and distribution expertise, Little Guy will undoubtedly give the same energy to the ParkLiner as they have distributing their teardrops, as well as the current Serro Scotty* (see below). We hope to hear from this duo in the near future to get some more insight on this partnership. 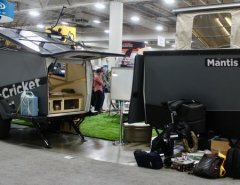 GREEN, OHIO – Little Guy Worldwide, distributor of the most popular models of teardrop camping trailers in the USA, will develop a new line of trailers under the Serro Scotty brand name, the iconic campers that fueled a small-trailer craze in the ’60s and ’70s. 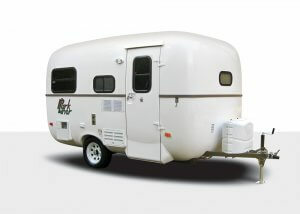 The Serro Scotty brand expands the Little Guy lineup of vintage-style trailers that thousands of camping enthusiasts have purchased from RV dealers around the world. 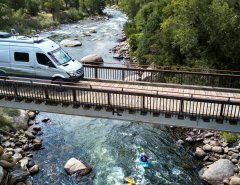 Kicos said Scotty brand strengthens the company’s reputation for offering smaller, high quality trailers to customers looking for fun and simpler camping adventures. With their classic teardrop shape, Little Guy trailers have become the most identifiable and economical teardrops on the market. 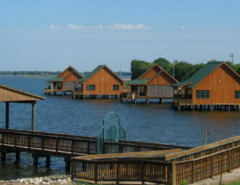 From 20 units sold in 2002 when Kicos founded the company, to the thousands of trailers providing enjoyment in the USA and other countries today, the growth of Little Guy sales continues. 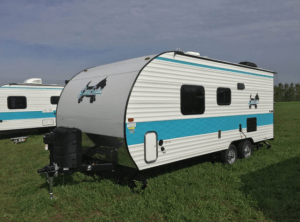 Little Guy Worldwide recently announced its expansion strategy into the distribution of high-end campers and trailers at a new 169,000 square foot facility. Little Guy Worldwide has reserved another 200,000 square feet of space for future expansion. Redacted from The Small Trailer Enthusiast, January 12, 2017, and reprint from the press release from Little Guy Trailer, July 22, 2016.